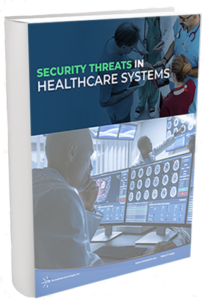 Download Your Free Copy of Security Threats in Healthcare Systems : Consolidated Technologies, Inc.
Healthcare cybersecurity has become one of the significant threats in the healthcare industry. As a whole, IT professionals must continually address healthcare data security issues because of specifics outlined in the Health Insurance Portability and Accountability Act (HIPAA) laws as well as the ethical commitment to help patients and the damage that healthcare security breaches can have on their lives. To download the PDF guide, simply fill out the short form to the right. Download the Guide NOW!